Recently at a portrait party I got the opportunity to photograph a different kind of subject. It’s not my typical newborn baby portrait but still super cute. For those of you who don’t know me I do love silly pictures. Of course I strive to capture beautiful images of your family but I love the silly pictures of you and your children as well. 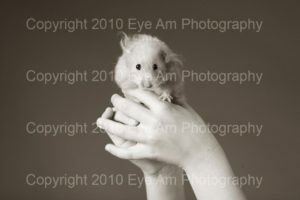 When I was asked to photograph a little girl and her pet I was happy to do it. Then I got the idea to pose the little one similarly to how I would pose a newborn. I think the image is fabulous and of course a little silly. 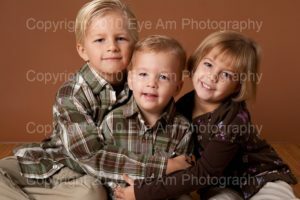 The last opportunity for mini sessions with Eye Am Photography will be on Saturday November 13th. These will be held at the Richmond Hill studio. If you are looking to get a few images for this year to give as gifts or for your holiday cards this is the time to book your session. Mini sessions are half an hour long. The cost is $300. 5 – full retouched digital images suitable for printing up to an 8×10. Please contact the studio line at 905-882-1459 as spaces are limited. 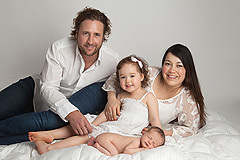 Recently I had the pleasure of photographing some gorgeous families at a portrait party in Markham. I’ll post more later but here are some adorable siblings. 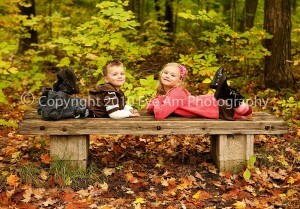 Eye Am Photography is having a mini session day on Saturday October 23rd. Sessions will be half an hour in length and include up to 3 children. 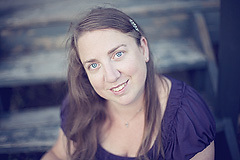 Session is $300 and includes 5 medium resolution digital files (printable to 8×10). Perfect for printing your own holiday cards as well. This will be an outdoor location for this date of mini sessions. Another date in November will be coming and those will be indoor sessions. These are the only mini sessions being offered for 2010. I’ve had quite a few adorable babies in the studio lately. Here are just a couple recent cuties. If you’ve never been to Kid’s Country Children’s Boutique in King City then you need to make a trip there. I am so happy to be able to offer my customers a special discount from this store. If you book a full session between now and the end of October you will receive a “Save the tax” discount on the new fall line at Kid’s Country. This is a great opportunity to go and purchase a special outfit for your session. They have baby clothes as well as gorgeous clothes for older children. The clothing ranges from super dressy to more casual hip clothing. When you book your session please mention this blog post so I can be sure to advise the store so that you can receive your discount. To book a session, please call the studio at 905-882-1459. The session does not need to take place by the end of October to qualify for the discount. If you are interested in an October session, please contact the studio as there are only 3 spaces left for October. © 2018 Eye Am Photography|ProPhoto Photographer Template by NetRivet, Inc.